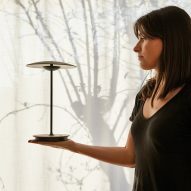 Barcelona brand Marset has released a portable lamp with a rechargeable battery that allows it to be detached and carried around the house. The Ginger light's battery allows it to function cordlessly, letting users take the lamp from room to room, and plug it back in to recharge. In an interview with Dezeen, designer Philippe Starck and Flos CEO Piero Gandini – while presenting their own cordless lamp – said that advances in technology meant lighting cables could disappear within a few years. "Wires are really archaic," said Starck at the time. "Like the light bulb, which looked modern until five years ago when suddenly the LED arrived and now it's history." 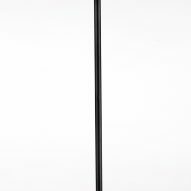 Marset already has a similar product to Ginger, the FollowMe table lamp – its bestselling product to date – which features an oak handle that allows it to be carried as a lantern would be, and a battery that can be recharged via a USB port. 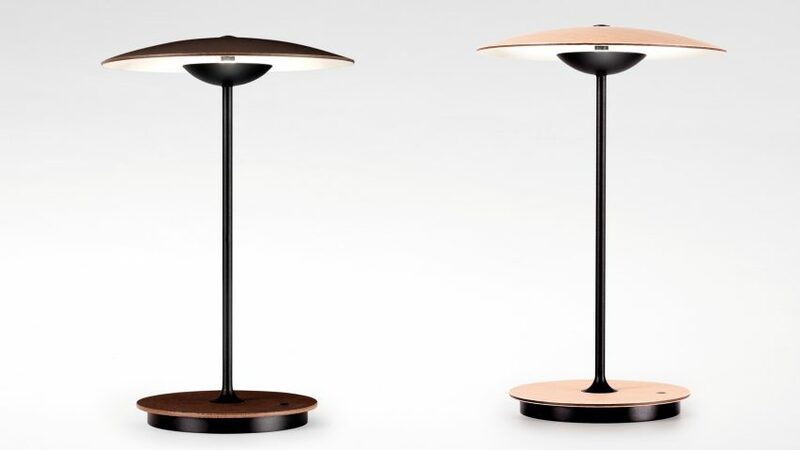 Marset's Ginger lamp has a minimal shade that is subtly curved. Made from pressed wood, paper and resin, Marset says it "discreetly lights up spaces with indirect light". 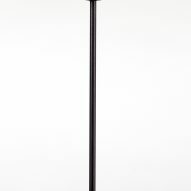 The lampshade, which comes in a dark or light finish, is supported by a thin circular base and slender black metal stem. 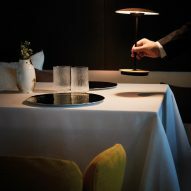 Marset has introduced other lighting as part of the Ginger range, including a wall lamp with a moveable arm and a suspension lamp, each of which follow the same form as the table lamp – although without the detachable aspect. Other portable lamps covered by Dezeen include HCWD Studio's concrete, brick-shaped light, which turns on and off depending on how it's placed, and ECAL graduate Claudio Gatto's Bolla lamp, which can be clipped onto several different surfaces for use indoors and outdoors.